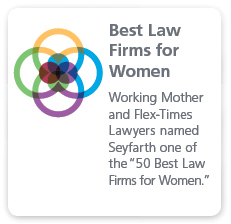 The experienced and savvy attorneys in Seyfarth Shaw’s Private Equity and Venture Capital team provide innovative and proactive counseling to both sources and users of privately placed risk capital, whether they be pension funds, private equity and hedge funds, family offices, endowments, investment advisors, governmental retirement systems and other institutional investors across the country, or domestic or foreign private enterprises ranging from start-up enterprises, to development-stage companies and mature well-established businesses. With few exceptions, we ably handle every type of investment on behalf of public and private institutional investors, as well as the investment advisors who work with these investors. Similarly, we represent domestic and foreign issuers in a variety of equity and debt financings, ranging from initial seed capital equity placements, to venture capital placed multiple series of convertible preferred stock, pre-IPO bridge financings of convertible debt, to acquisition financings and a variety of both secured and unsecured debt financings. We are experienced in representing issuers and investors in industries ranging from aerospace/defense, biotech, energy and healthcare to real estate, retail, social media, technology and telecom. We stay abreast on the latest news and developments in the private equity and venture capital industries and continually communicate with our clients on those changes. Whether investing in a fund, acquiring a business or a division or forming a corporate or real estate joint venture, our attorneys have a strong track record of success. We utilize our extensive experience with both public and private investors, and in a variety of industries, to provide innovative opportunities and insights into appropriate transaction structures. Whether analyzing revenue sources and mitigating legal risks to help maintain the diversity of our institutional investor clients’ portfolios or stabilizing cash flow or furthering the long-term appreciation of our issuer clients’ businesses, our attorneys wisely account for the opportunities and challenges posed by changes in the economy, continuing consolidation of certain industries, globalization and the shifting allocations and availability of capital. Our clients, whether they be providing or obtaining financing, benefit from our in-depth and current knowledge of deal terms, conditions and best practices, as well as our well-reasoned advice on regulatory and governance issues and tax-efficient structures, and our well-proven counsel on capital raising techniques. In addition, we have wide-ranging experience working with various asset classes, mezzanine securities, distressed debt, real estate and with both U.S. and international investments. Our attorneys are well prepared to assess the legal, tax, regulatory, labor, financing and business merits of a variety of structures for both investment vehicles and operating businesses, including limited partnerships, limited liability companies, corporations and offshore vehicles. Likewise, we can devise innovative structures that give clients flexibility in accessing and financing assets that otherwise might be unavailable to them. 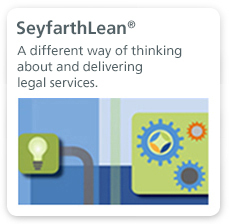 Institutional and corporate investors count on Seyfarth to review proposed investments in private equity funds, including skillfully negotiating investment terms with thorough documentation and meticulously worded side letters on indirect investments. 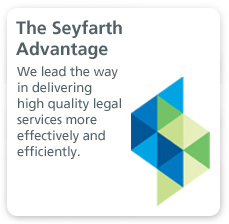 In addition, our fund sponsor clients rely upon Seyfarth to minimize exposure and maximize profit by leveraging our deep understanding of the tax and regulatory issues that go along with these deals. We provide our clients with a cross disciplinary team of attorneys focused on representing institutional investors. And our team can draw on members of our securities, real estate, benefits, tax, bankruptcy, labor and employment, intellectual property and litigation practices. Together, our attorneys assist our clients in skillfully navigating the complex world of private equity and venture capital with the practicality and strategic thinking gained from decades of experience.